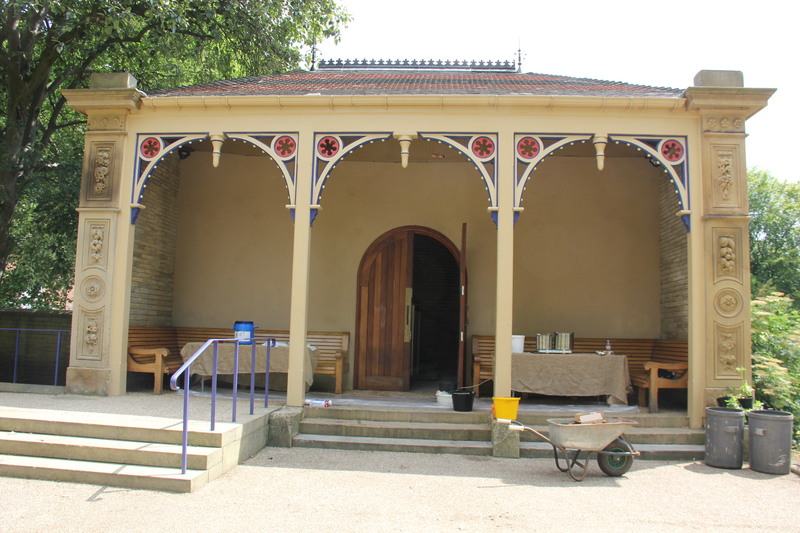 Dye workshop for the day, a shelter in Roberts Park. Students using the indigo vat. 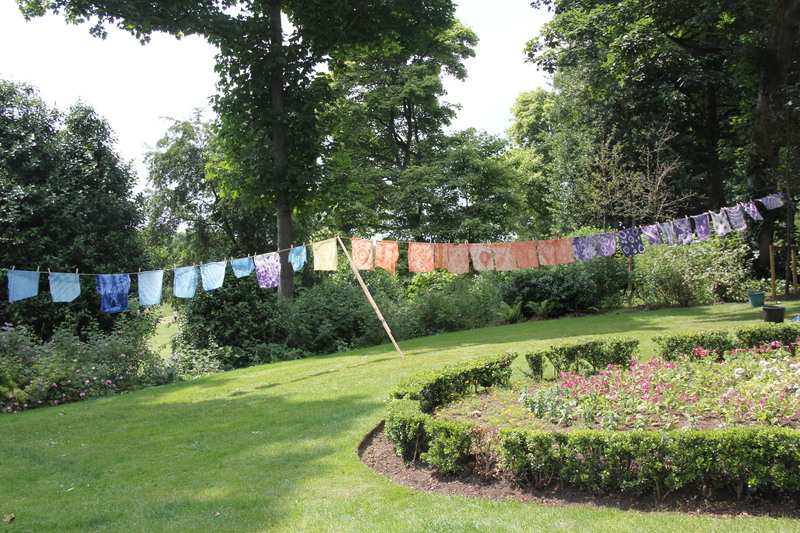 Logwood dyed samples on the line. 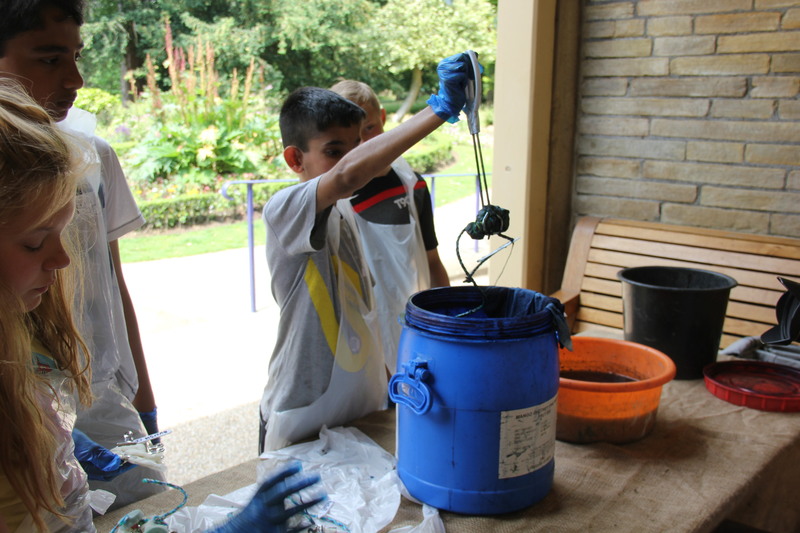 We spent the day yesterday in Roberts Park, Saltaire, as part of a personal development day for Year 7 students at Titus Salt School. 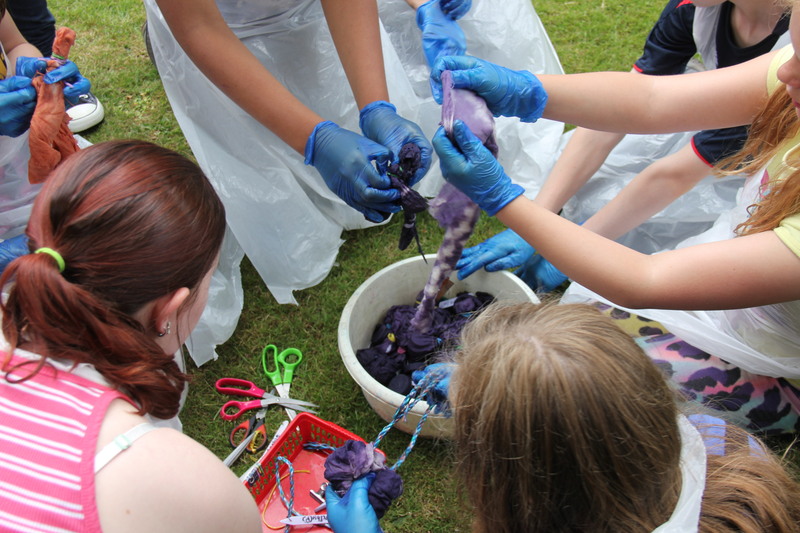 The day was designed so that students at the school could learn about the textile heritage of Saltaire, and about the dyeing process in a fun hands on way. 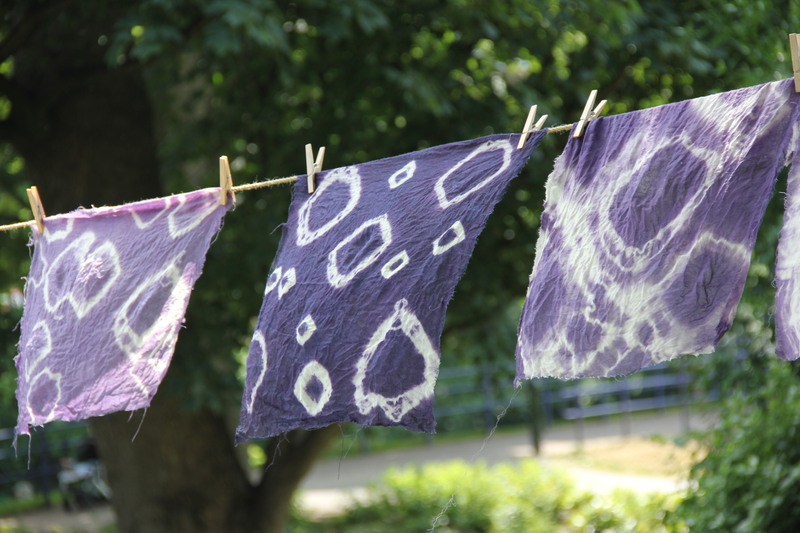 As part of the experience students had a heritage walk around the village, planted dye plants in the park that will become part of the permanent display, and designed and dyed fabric samples using dyes with a strong connection to Salts Mill and to the park itself.